Jews first came to Pacific islands nation of New Zealand in the 19th century. Today, the Jewish population of New Zealand stands at approximately 7,500. The development of the Jewish population in New Zealand began in the early decades of the 19th century. Jewish traders arrived in the 1830s, quickly establishing themselves throughout industry and commerce. Jews played a prominent role in the development of the country, most notably in trade with Australia and Britain. Before New Zealand became a British Colony in 1840, the Jewish population consisted of fewer than 30 people. In 1840, David Nathan, along with about a dozen other Jewish storekeepers and traders, founded the Auckland Jewish community in northern New Zealand. The congregation met to worship together as they conducted services and various other religious functions. On October 31, 1841, Nathan wed Rosetta Aarons in Kororareka, making history as the first Jewish marriage in New Zealand. The second major hub of New Zealand Jewish life in the 1800s was just south in Wellington. Very similar to Auckland, Wellington originally attracted traders. The first Jew to arrive was Abraham Hort, Jr. in 1840. He was followed by Abraham Hort, Sr. in 1843, who went to New Zealand hoping to found a community and promote planned immigration to relieve Jewish poverty in England. He founded the Wellington Hebrew Congregation in 1843 and, on January 7, the first Jewish service was held in Wellington. In the 1860s, as gold was discovered in Otago and Westland, the Jewish population spread throughout New Zealand. While Auckland and Wellington still accounted for the majority of New Zealand’s Jewish population, communities were established in Dunedin, Christchurch, Hokitika, Timaru, Nelson, and Hastings. In 1861, 326 Jews lived in New Zealand. By 1867, that number nearly quadrupled to 1,262 comprising 0.6% of the total population. After having prayed in private homes for a number of years, the title deeds for the first Synagogue on The Terrace were received in 1868 and the Beth El Synagogue of Wellington was consecrated in 1870. Similarly, the Auckland Jews had been in a small building and, on November 9, 1885, the Auckland Synagogue was opened. In the 20th century, Jewish immigrants arrived primarily from the former U.S.S.R and South Africa. Due to an extremely restrictive government policy on immigration, only a small number of Jewish refugees from persecution in Russia and Eastern Europe were admitted. As a result, very few Jews fleeing Nazi Germany found refuge in New Zealand around the time of World War II. Today, the Jewish population, estimated at around 7,500, makes up less than a quarter of one percent out of the total New Zealand population of 4.2 million. The majority of New Zealand’s Jews reside in Auckland and Wellington on the North Island, though a significant number - some estimate at around 1,000 – live in Christchurch and other cities on the South Island. Immigration has led to four main groups: older families who came from the United Kingdom in the 1800s, lineage of European refugees from the 1930s and 1940s, families who emigrated from Britain in the 1950s, and recent immigrants from South Africa, Israel and the former Soviet Union. 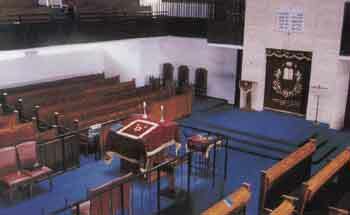 Synagogues continue to be considered the center of Jewish communities in New Zealand. Auckland and Wellington each have two congregations, one Orthodox and the other Liberal Progressive. Congregations meet in Christchurch and Dunedin as well. The first and only Chabad house in New Zealand was established by Israeli Rabbi Shmuel Koppel and was located in downtown Christchurch to help serve the local Jewish population as well as the growing number of Israeli tourists that flock to the country. In February 2011, the Chabad house was destroyed by an earthquake that struck near the center of Christchurch and which killed nearly 200 people, including 3 Israelis. On January 13, 2012, a newly rebuilt Chabad house was dedicated in the same city with an inaugural Shabbat meal. Rabbi Koppel plans to keep all the services he offered in the old house running. In the 1920s, the New Zealand Jewish Times became the first national monthly Jewish journal. Today, there is one monthly journal, the New Zealand Jewish Chronicle. There is also the Chadashot, the Auckland Zionist magazine. Several Jewish organizations are present in modern day New Zealand. The New Zealand Jewish Council serves as the representative of the community to the government, working to safeguard the interests of the community. The Community Security Group, a subdivision of the Council, works with the New Zealand Police to protect the Jewish community from anti-Semitic offenses and threats. The Australasian Union of Jewish Students (AUJS) serves to unite Jewish Students throughout Australasia through promotion of Jewish identity. International B'nai B'rith lodges have been set up in Wellington (1960) and Auckland (1961). In 1971, Kadimah College was founded as a Jewish Day School in Auckland. Anti-Semitic attacks remain infrequent, with few reports of anti-Jewish vandalism or violence. For the most part, anti-Semitism has been due to influence from abroad and has flared in periods of economic depression. Still, while the number of anti-Semitic attacks remain low, New Zealand is no longer perceived to be as safe as it once was. On March 15, 2019, Muslims were targeted when a white supremicist attacked two mosques in Christchurch, killing 50 people. In solidarity with their Muslim neighbors the Jewish community closed their synagogues on Shabbat for the first time in history. Over time, the Jews of New Zealand have made an array of contributions to culture, literature, medicine, journalism and politics. The most notable figure is London-born Julius Vogel (1835-1899). Vogel moved to New Zealand in 1861 after various failures in the Australian gold mines. By 1873, he was elected prime minister. In 1875, he was knighted. He was energetic and persuasive and has often been compared to Benjamin Disraeli. Sir Arthus Myers was minister of munitions in World War I. In almost every city in New Zealand a Jew has been honored as its chief magistrate. Notable journalists include Vogel, Fred Pirani, Mark Cohen, Phineas Selig and Benjamin Farjeon the poet and novelist. Noteworthy in medicine include Sir Louis Barnett (surgery), Alfred Bernstein (chest diseases), and Bernard Myers (medical services). Joseph Nathan of Wellington established the Glaxo pharmaceutical company. 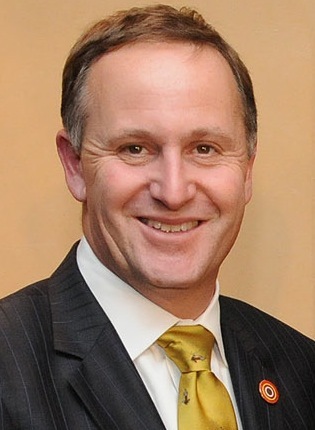 In November 2008, John Key – born to Austrian-Jewish immigrant mother – was elected as the 38th Prime Minister of New Zealand. Though he was not raised Jewish and currently considers himself Anglican, Key recognizes his Jewish roots, even to the point of granting his first official interview as Prime Minister to the Israeli newspaper Yediot. His mother narrowly escaped from the Holocaust and his government showed sympathy and friendship towards Israel. Key won his third term as Prime Minister on September 21, 2014, winning 61 out of 121 seats in the Parliament. He announced his resignation on December 5, 2016, and a special caucus was called by Parliament to select a new leader, taking place on December 12. The New Zealand Jewish Archives, located in Wellington, was founded in 1980 for the purpose of collecting and managing thousands of documents, memorabilia, photographs and Judaica depicting the life of the New Zealand Jewish community. Notable celebrations and major exhibits occurred in 1990, as a century-celebration of the first Jewish service (1890) and in 1993, as the 150th anniversary of the New Zealand Jewish community (1843). New Zealand has a long history of support for Israel beginning with support for the Partition Plan in 1947. Since then, most Kiwi governments have been generally supportive of Israel. After 53 years of full diplomatic relations, the Israeli Embassy in Wellington was closed in 2002 for financial reasons. At one time there were four missions in the South Pacific area in Canberra, Sydney, Wellington and Suva in Fiji. Presently, only Canberra remains open, which is now responsible for New Zealand-Israeli Relations. In June 2004, the New Zealand Government criticized Israel’s policy of bulldozing Palestinian homes and donated $534,000 to aid homeless Palestinians. More seriously, in mid-2004, Two suspected Mossad agents were jailed for three months and paid a $35,000 fine for illegally seeking to obtain New Zealand passports. High-level visits between the two countries were subsequently cancelled, visa restrictions imposed for Israeli officials, and an expected visit to New Zealand by Israeli president Moshe Katsav was cancelled. More than a year later, Israel apologized and New Zealand Prime Minister Helen Clark announced the resumption of normal diplomatic relations with Israel. A co-production treaty was signed between New Zealand and Israel in early March 2016. The treaty allows Israeli and New Zealand filmmakers increased access to funding and incentives for cooperation, and extends to film, animation, television, and digital productions. The treaty was inspired by the 2015 film, “Atomic Falafel,” which was a commercial success and featured an Israeli director working with a New Zealand production crew. Following New Zealand’s co-sponsorship of UN Security Council Resolution 2334 in December 2016 criticizing Israeli settlements, Israel withdrew its ambassador from New Zealand and postponed travel plans for New Zealand’s ambassador to Israel. After six months of simmering tensions, full diplomatic relations were restored on June 13, 2017. New Zealand Prime Minister Bill English penned a letter to Israeli Prime Minister Benjamin Netanyahu, in which he expressed regret for the damage that was done to Israeli-New Zealand relations as a result of the resolution. A subsequent poll found that 30% of the public did not believe their country should have co-sponsored the resolution (43% chose not to answer). Israeli Ambassador to New Zealand, Itzhak Gerberg, was honored by a group of native Maori elders on July 29, 2018. The islanders conducted a traditional ceremony of apology, called a whakapāha, to express regret for New Zealand’s role in the adoption of the UN resolution.